We all love Pinterest, right? But the TIME. 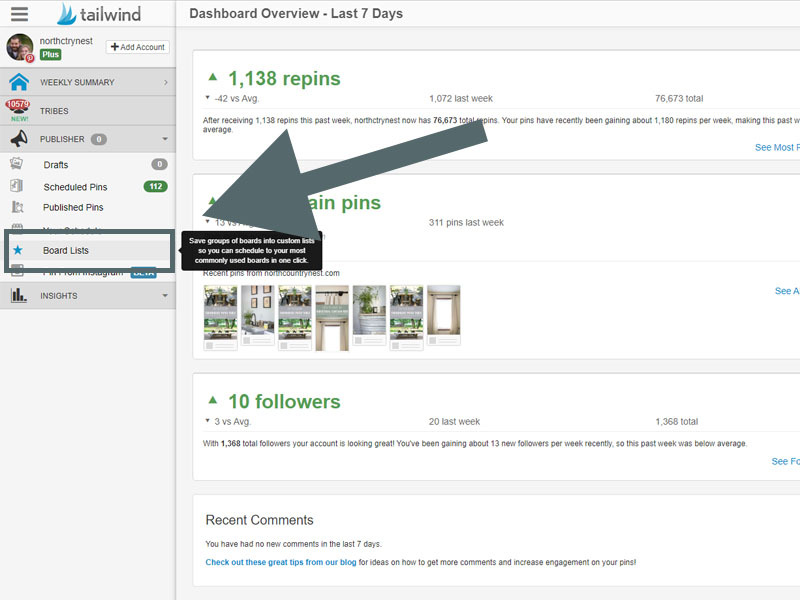 It’s a common complaint I hear again and again – Pinterest (and even Tailwind) takes so. much. time. Even the act of scheduling takes time. What if I told you there was a way to speed up the scheduling process in Tailwind with their Board Lists feature? Another positive? This process helps me from spamming boards because really, who can remember what you pinned and when? I know that is definitely not high on my list of things to keep track of during the day. Step one. From your Tailwind dashboard, under ‘Publisher’ and select ‘Board Lists’. Step two. 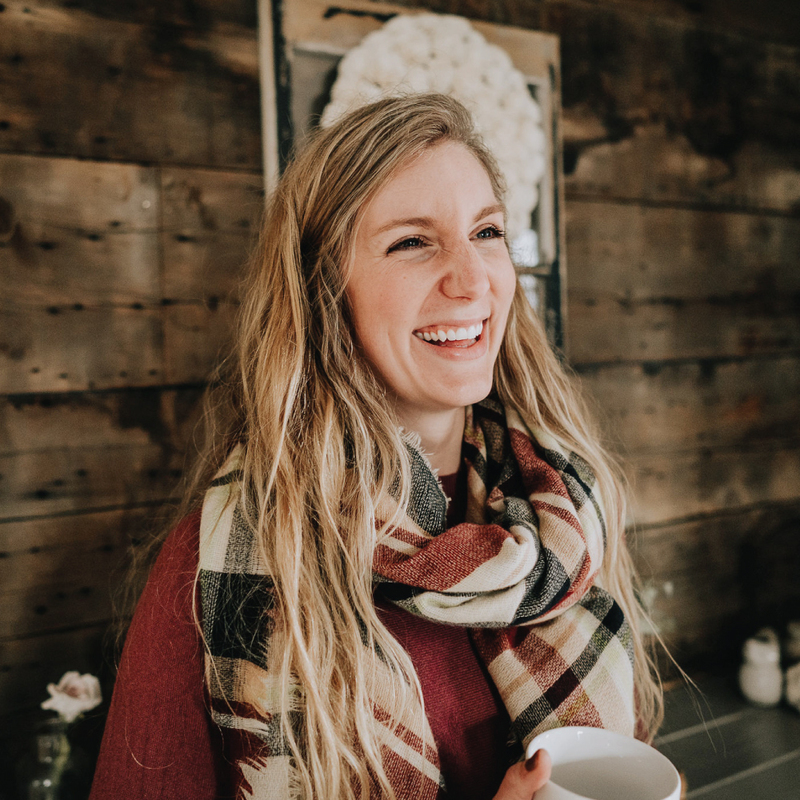 Once you’re on the board list page, +add a new board and enter in a title, followed by #1 – this is how you’ll identify which list to use as you make more. Step three. 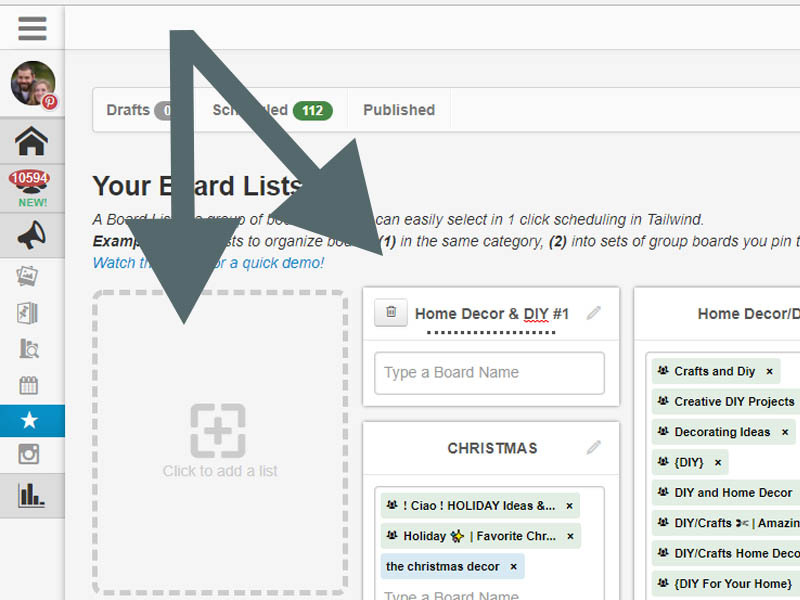 Now that you’ve named your list, it’s time to add the group boards. 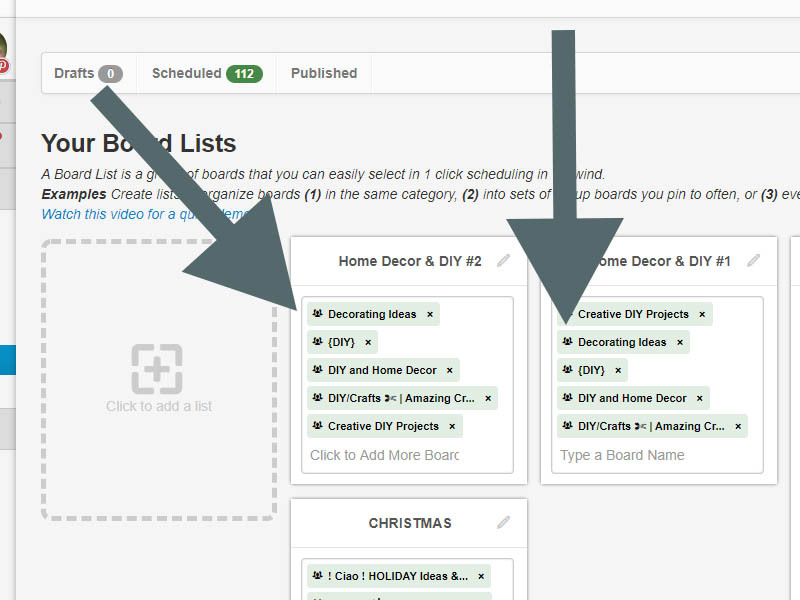 To make this as easy as possible when scheduling, the boards all need to be in the same category. 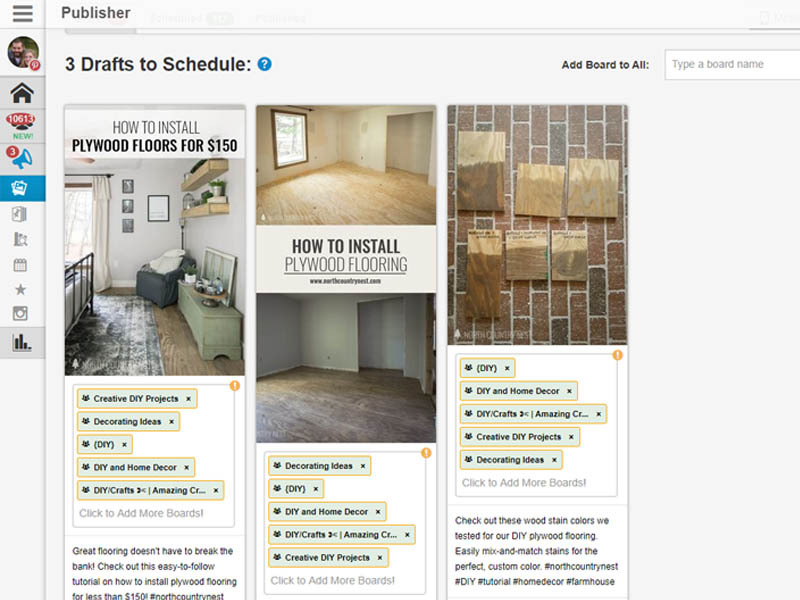 For example, with North Country Nest, it wouldn’t be the smartest idea to put a group board focused on recipes in the same board list as a board all about home renovation projects. Step four. When you’ve added all the appropriate group boards to the board list, create another board list with the same name, except end it with #2. 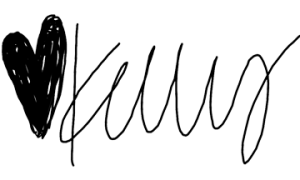 Step six. Continue adding new board lists until you aren’t able to begin with a new group board. For the example in the pictures, I can only create five board lists because there are five group boards. If i created six, then a group board would be repeated twice. Once all the boards are created, it’s time to get to scheduling! 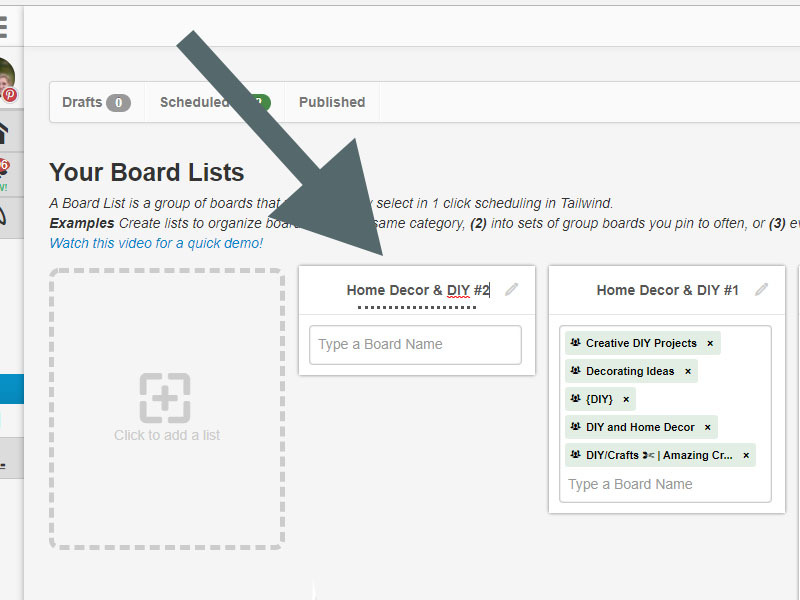 This is where the real magic happens 🙂 This works particularly well if you have multiple pins for the same post and want to schedule them to group boards but don’t want to be spammy and piss anyone off. Or worse, get kicked out. Step one. 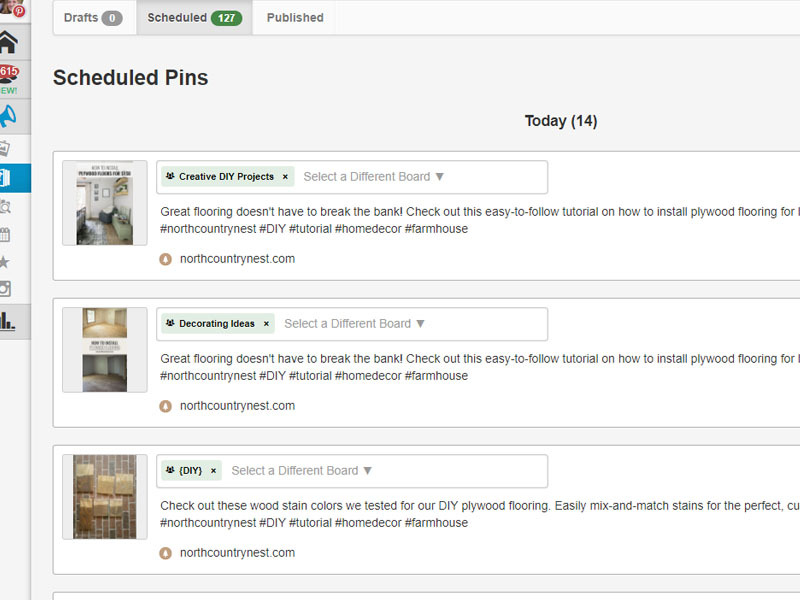 Select multiple pins from a single blog post (or multiple) and either get ready to schedule them through the plugin or in drafts. The picture below is from the ‘drafts’ page. Then, assign each pin a specific board list. Below, the pin on the left has board #1, the middle pin has board #2 and the pin on the right has board #3. Step two. Once the board lists are applied, click on the ‘use interval’ button at the bottom of the pin and set an interval of one day to each of the pins. Make sure they are ALL starting on the same day. As you can see below, all three pins are set to go out on April 28. Step three. When the intervals are set, hit the schedule button and you’re all set! 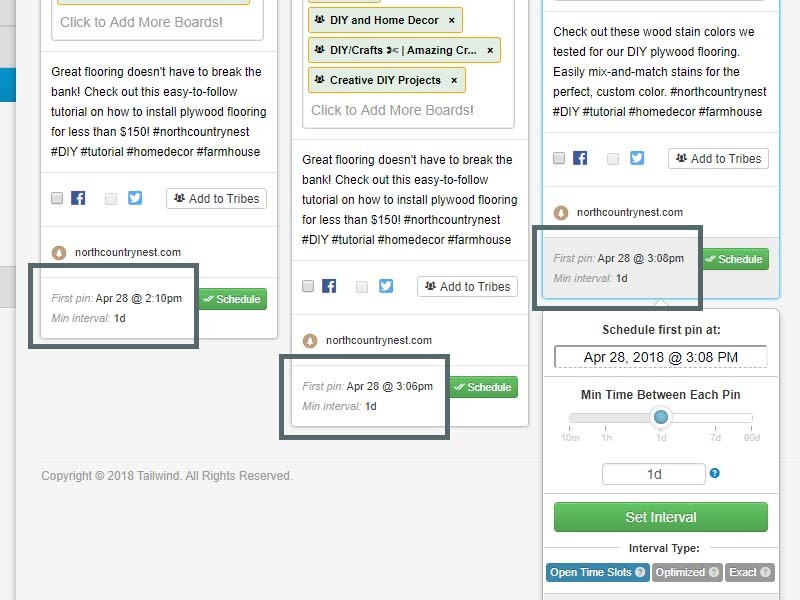 Not only will this save you a TON of time when scheduling, you’ll also be able to share three of your pins to group boards, on the same day, without having to remember when you last pinned to that board. Some boards have pretty strict rules on only allowing one pin per day and since I am quite the rule follower (who’s with me??) I wanted a way to easily pin to group boards without losing my mind remembering what I had already pinned and when. The next step in this process would be to select another post (or more pins) and set them to start the next day (April 29). So, all I have to remember is the last day that I scheduled out the board lists and know that I am staying active on all my boards. As always, if you have any questions on this process – or if you have a different workflow that you’ve implemented – comment below! hi kelly, thank you so much for this super helpful post!! i was trying this process, and one thing i don’t quite understand is : if you have created 5 board lists rotating 5 group boards, you only used 3 lists here because there are 3 pins and each of the group boards here are getting 3 pins a day. so when would be a situation where you use all 5 board lists?